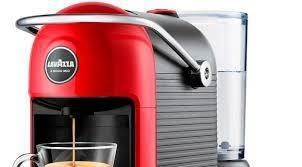 Lavazza, experts in coffee for over 120 years, bring you the new JOLIE & MilkUp coffee machine. 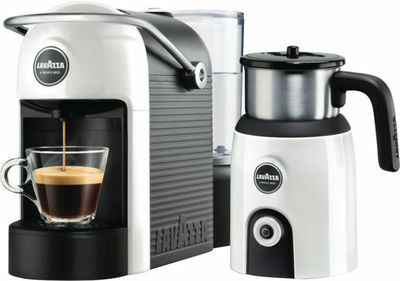 Our latest machine in the A Modo Mio Range. From the way our capsules are packed, the amount of coffee they contain, the water pressure applied right through to the time it takes to pour through, our machines and capsules are specifically designed to replicate an at home café experience. 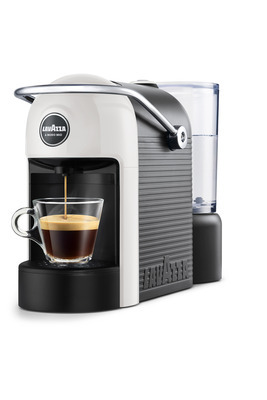 The smallest and quietest of Lavazza’s A Modo Mio coffee machines. So small, you can fit it anywhere you want. So quiet that it prepares your coffee silently, because the coffee will do the talking. 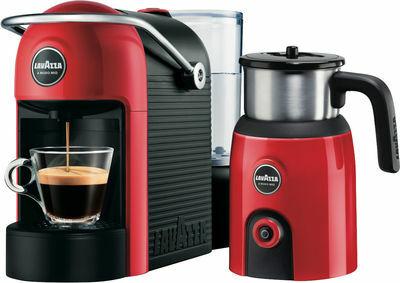 Jolie is the ideal Lavazza A Modo Mio coffee machine to make an authentic Italian espresso to share with friends who cannot wait to try it. Jolie is so easy to use. In fact, it features a single backlit stop&go button, so that you can choose the quantity of coffee you want every time, in a few seconds and in just one touch. The all-ABS cup-support rack is removable so you can prepare a regular espresso or caffè lungo. The water tank is made of clear plastic, with MIN/MAX indicators, so you can immediately see when it’s time to refill it. Jolie also has automatic power-off after 9 minutes and all the removable parts are dishwasher-proof. To offer an authentic Lavazza taste, Jolie has chosen an all-Italian design just for you: an elegant look, with a compact form and smooth lines, exquisitely designed down to the last detail. The Milk Up frother will cater to all of your milk based drinks. 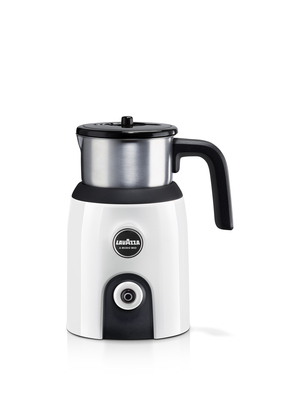 With options for both hot and cold frothed milk and being dishwasher safe this compact milk frother makes milk based coffees a breeze.